This is simple easy Dosa recipe with nice coconut flavor. 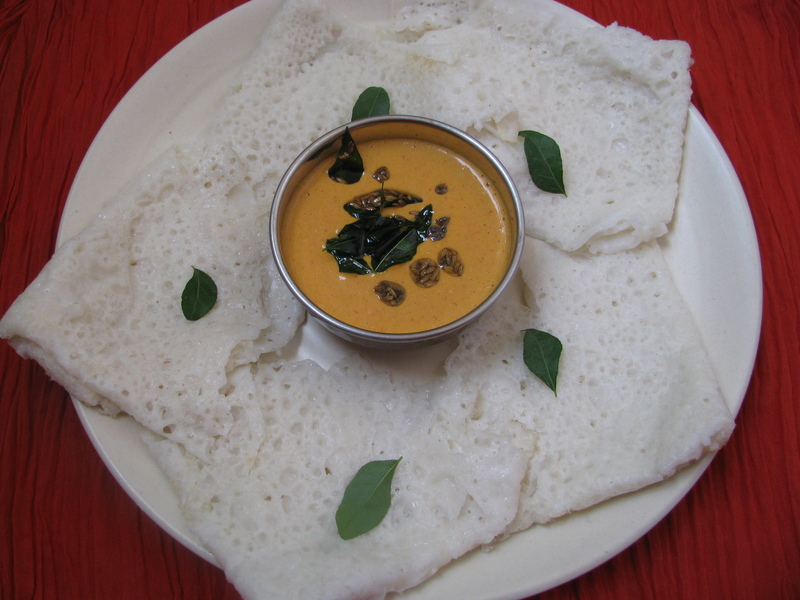 Neer Dosa are soft delicate, fluffy, white in color dosas unlike brown crispy Dosas. When I eat this Dosa I remember my days in Bangalore. I had this Dosa made from coconut milk and rice in many food joints in Bangalore. In my college days me and my Friends have enjoyed variety of Dosa’s and this was my favorite one. I learnt this Dosa from my neighbor in Bangalore. There are many restaurants in Bangalore which serves soft thin tasty Neer Dosa with different types of South Indian curry or chutney. My kids love Dosa and when I ask Anagh in evening that what he want to eat in dinner many times the answer is Dosa or Pav bhaji . When you want to make Dosa without fermentation especially in winters, this recipe of Neer Dosa works really well. This is the instant dosa recipe. 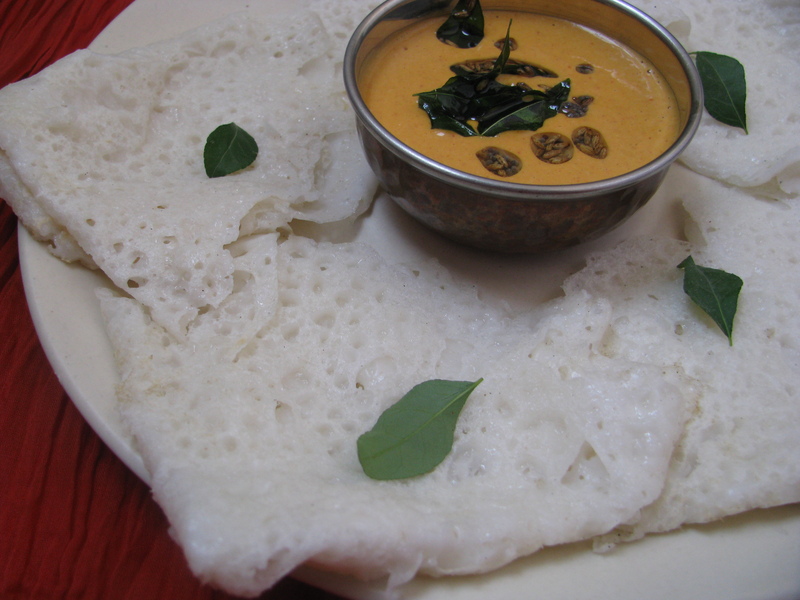 You can make this Neer Dosa recipe with raw rice or rice flour. I add coconut milk to make Neer Dosa batter. Neer Dosa made from Dosa batter with coconut milk tastes awesome as compare to when it is made with plain water. If you have rice flour at home this dosa recipe is very quick and easy to make. When you make this Dosa from rice, soaking time is required. Neer Dosa are the Dosa which you can make without fermentation and grinding. If you are using rice flour for dosa grinding is not required but if you are using soaked rice then good quality grinder is required to make this soft delicate lace like Dosa. You can make this Dosa with any rice. I use tukda basmati or Sona masuri rice to prepare Neer Dosa. 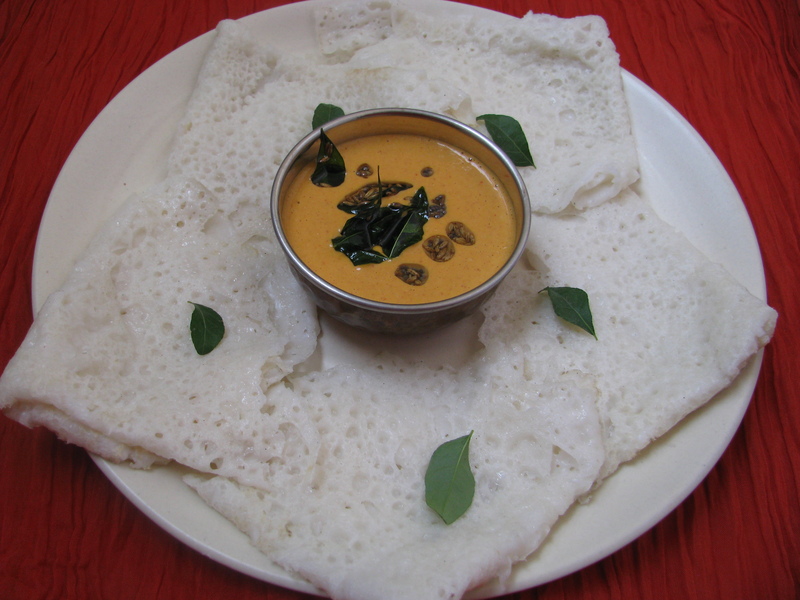 To make Neer Dosa more healthy you can make it with brown rice . Use good quality rice or fresh rice flour otherwise crack will form on Dosa . 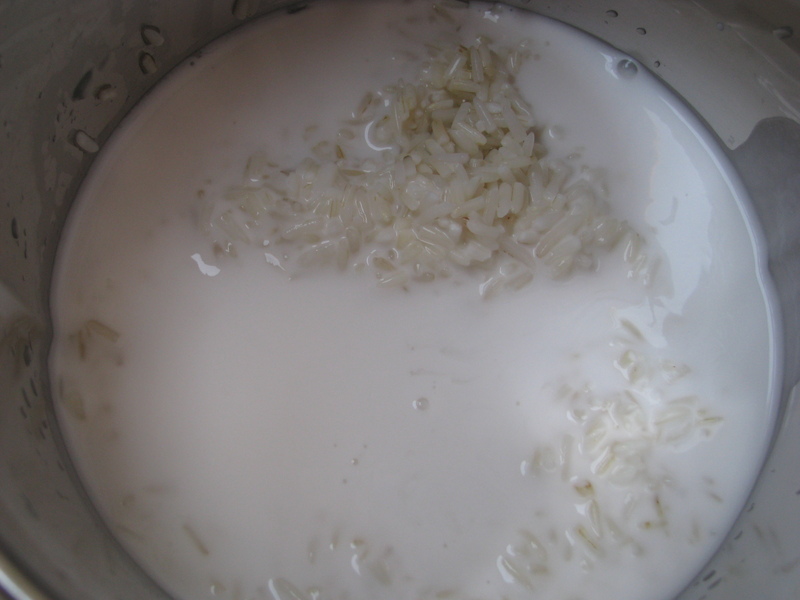 Add little cooked rice or leftover rice while grinding the batter this will also avoid the cracks .Soak this rice for 2-3 hours and grind it with coconut milk and water. Some people make it with plain water and some make it with only coconut milk. 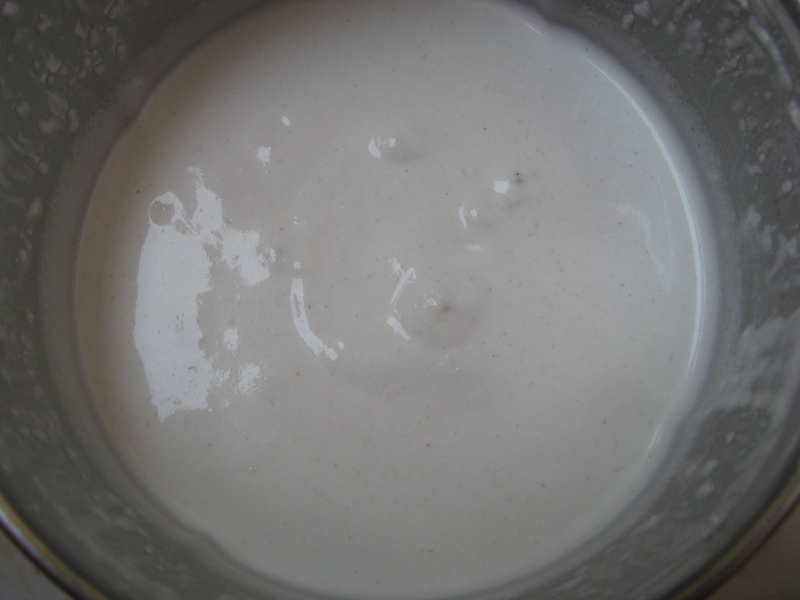 I use both coconut milk and water to make Neer Dosa batter. Consistency of Neer Dosa batter is very runny .it should be slightly thicker than whole milk. If you keep it thick the small holes will not form in Dosa . Rice should be grind finely to make Neer Dosa batter. You can serve any curry or gravy or chutney with Neer Dosa. You can serve small potato curry, matar paneer , mushroom curry,Katahal / Raw jack fruit curry as a side dish with Neer Dosa. Many people eat fish or chicken curry as side dish with this Dosa. You can also eat it with coconut chutney or peanut chutney. Many times I also serve it with flaxseed chutney ( Alsi / jawas chutney) mixed with curd . Neer Dosa is generally served on banana leaves, hot Dosa when kept on banana leaf gives nice south Indian flavor to it, it is feast for eyes and taste buds! Use fresh rice flour or good quality rice like Sona masuri ,tukda basmati , kolam ,ambe mohar or any short grain rice to make Neer Dosa. This will make the Dosa crack free. Add little cooked rice whilst grinding the rice to make Neer Dosa batter, this will also make Dosa crack free and soft. You can use leftover cooked rice . Batter should be superfine that’s the tip for Neer Dosa . Grind it until you should feel it very soft when you rub it with ur fingers. 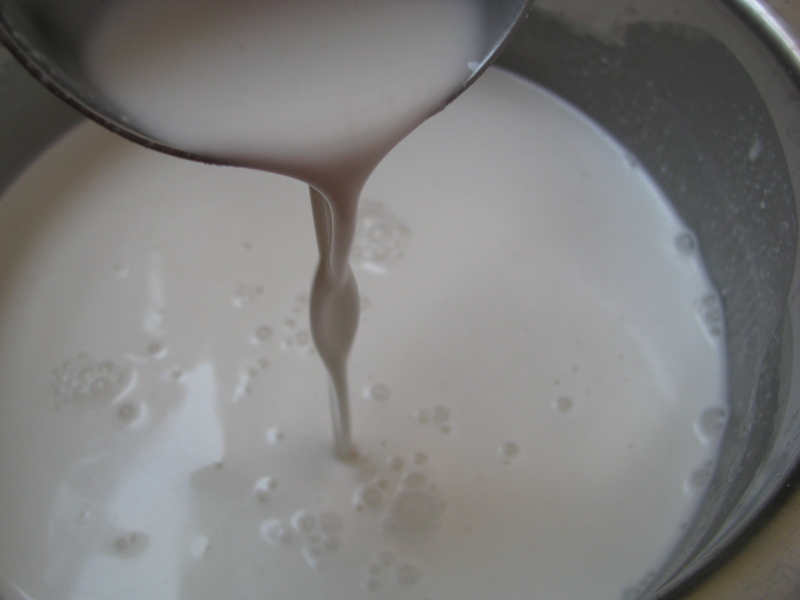 Consistency of batter should be runny, it should be little thicker than whole milk. If you have kept the batter in refrigerator, let it come to normal room temperature before making Dosa from it. Cold Dosa batter sticks to the pan. 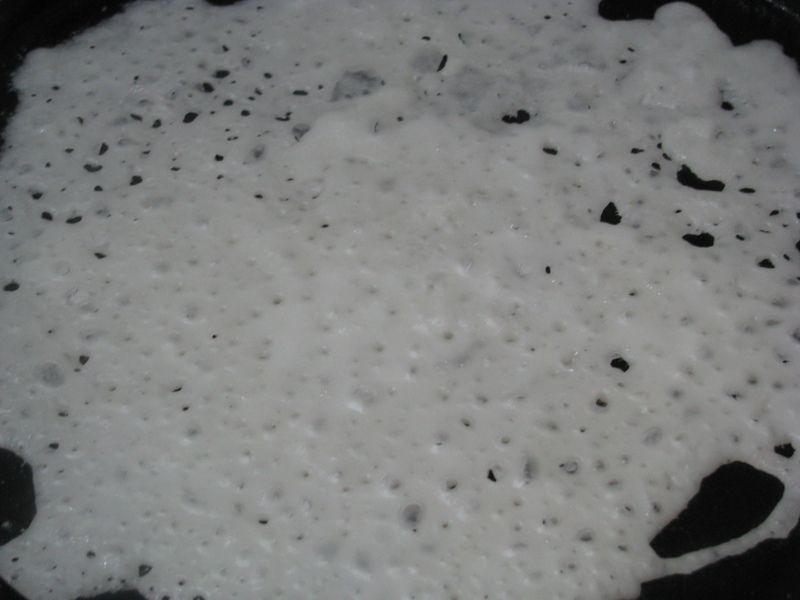 Use non stick or seasoned cast iron skillet/ tawa to make Neer Dosa . Many times first 1 -2 Dosa stick if your using cast iron tawa , but it will come out easily as the pan gets seasoned. Well on non stick pan this problem doesn’t come. Neer Dosa are white in colour, they are not brown like other Dosa. Cook it by covering a lid for 20-25 seconds on low to medium flame, this will cook the Dosa and at the same time it will remain white. After each Dosa wipe the skillet/ tawa with paper towel dipped in oil. This will season the tawa. Well if your Neer Dosa comes out brown there are two reason your pan is very hot or you have added too much of coconut milk. 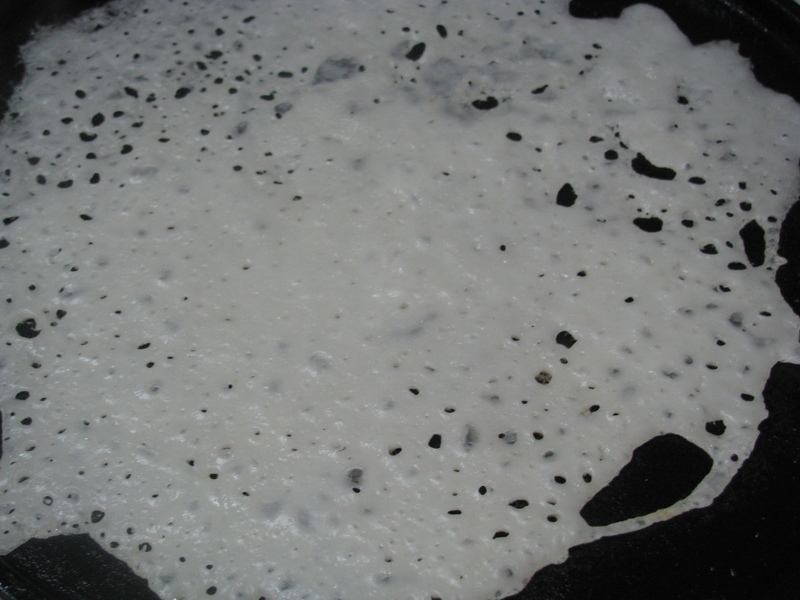 Most of the time Neer Dosa made from rice flour comes out brown as compare to Neer Dosa prepared from soaked rice. If your making Neer Dosa on tava or skillet Scoop a ladle of the batter and pour the batter starting from around the pan to the centre, filling any spaces that are left out without touching the ladle or spoon . Pour Neer Dosa batter 4-5 inches above the skillet / tava . Cover Neer Dosa by covering the skillet . I have explained how to make Neer Dosa perfect at home .I have explained both Neer Dosa made from raw rice and rice flour .do share your queries and suggestion for this recipe . 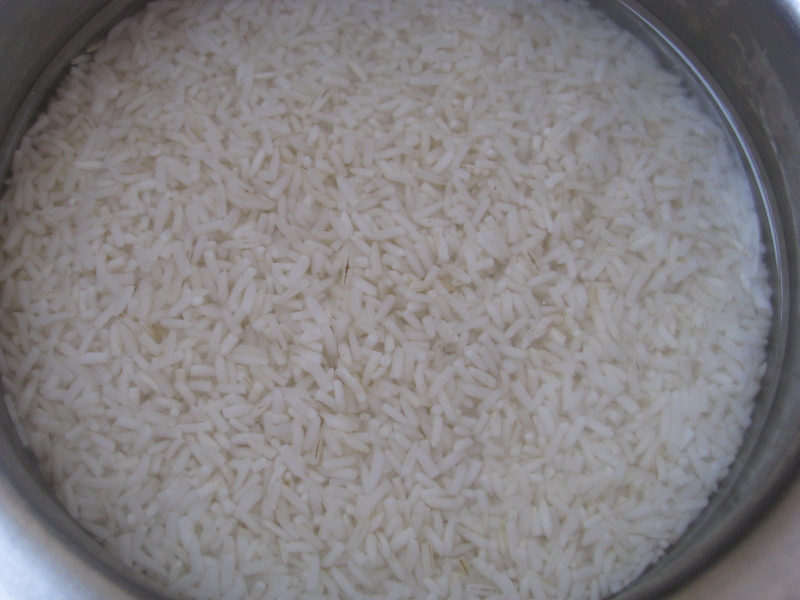 Soak the rice in plenty of water for at least 2 hours .drain the water. Add 1 more cup of water and salt and blend for a few seconds. The batter should be a little thicker than whole milk. If its too thick, add water to dilute it. Let the batter rest for 1 hour. You can also use the batter right away. Dip a wad of paper towel in oil, and wipe the skillet. This will season the skillet. Mix the batter with a ladle. Grease the tawa with a little ghee and pour a ladleful of batter from a little height so that you get plenty of holes. Pour the batter on the tawa to make a circle. Make this circle by pouring the batter from the periphery to the center .Do not touch the ladle to the tawa; you need to pour the batter not spread it. Drizzle few drops of oil/ ghee around the Dosa. (If you are using a good non stick skillet, you can get away with not using any oil/ ghee at all if you wish). Now cover the tawa / skillet, reduce heat to medium and cook for about 30 seconds. 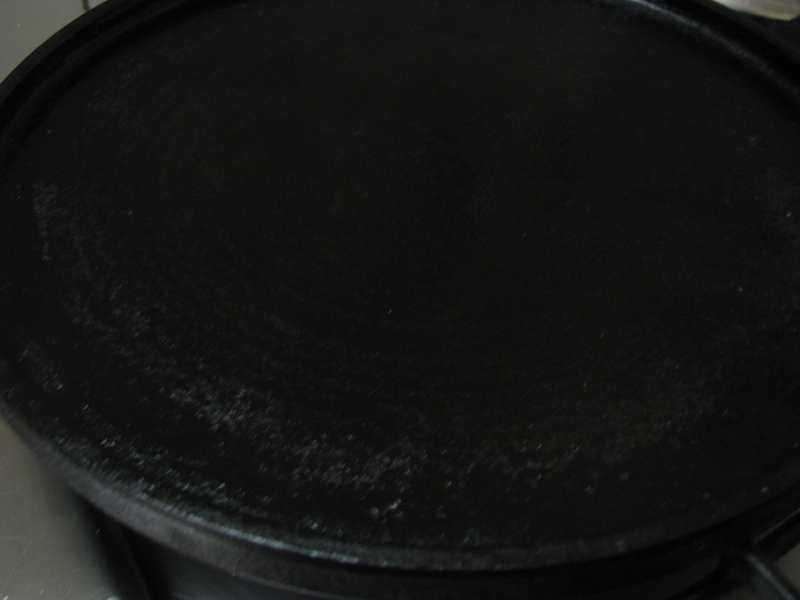 Remove lid, and cook another 30 seconds or till the Dosa is no longer liquidly, come off the skillet easily and is still white in color. Fold the Dosa into a semi circle and then again in half to form a triangle. Bring the pan back up to high heat, and repeat for the remaining batter. Serve neer dosa with chutney or any curry . Mix all the ingredients except oil and make a smooth paste out of it . Follow above steps from step number 4 -10 to make Neer Dosa from rice flour .